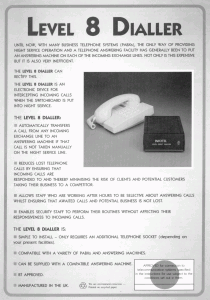 The Level 8 Dialler from the Early 90’s! This was a slight deviation away from our normally Emergency Alarm Dialler‘s Like the M30 and its forbears the MM20,MD20,MK12,MK7 etc. 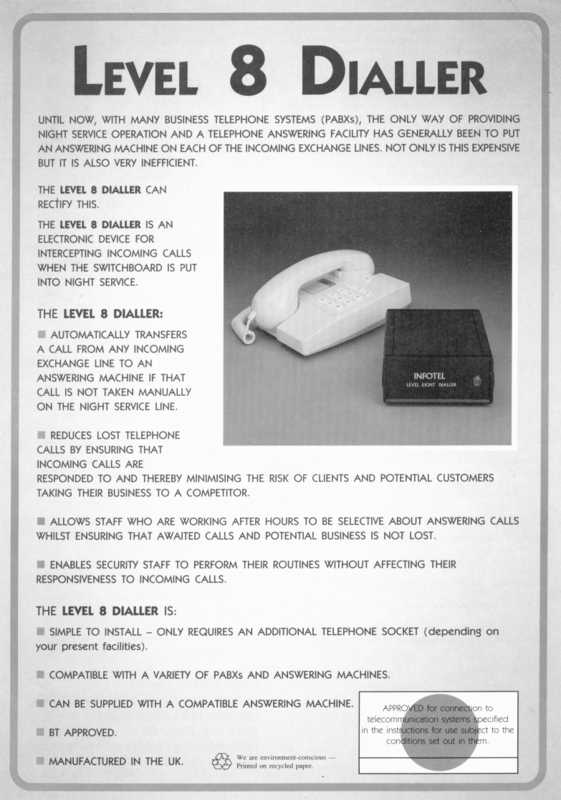 The Level 8s main function was to intercept incoming calls when the main phone switchboard was put into “Night Service” mode and then to automatically transfer a call from any coming exchange line to an answering machine if that call was not taken manually on the “Night Service” Line. 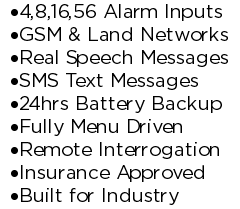 For More Information on our current Emergency Alarm Diallers, please Contact us or visit check out the M30 Alarm Dialler Standard Features and Alarm Dialler Optional Features Pages.